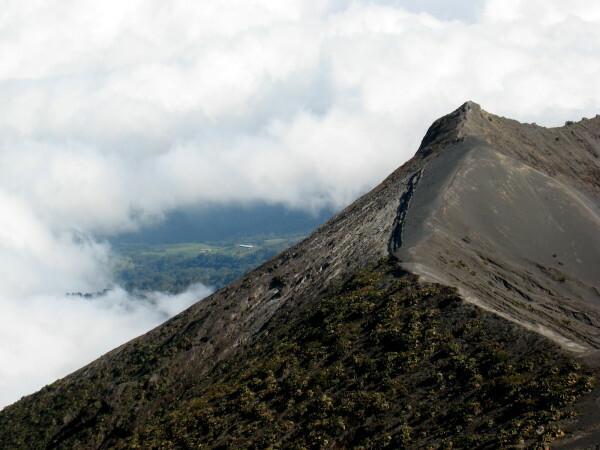 The last time Volcán Irazú awoke was in the first half of the 1960’s, when, for four years it showered the residents of Cartago and San José with ash, clogged the air with smoke, and sent glowing boulders rolling down its sides. Today, as you travel along the southern slope of the volcano to the park, the potato, onion, and cabbage fields give way to dairy farms at higher elevations. The next eruption can’t be predicted with much accuracy, but currently the only activity in the crater is from fumaroles releasing toxic steam. 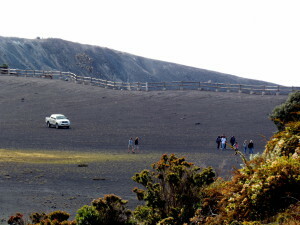 The summit of Volcán Irazú is near tree-line, and the wind and volcanic activity conspire to give the effect of a moonscape. 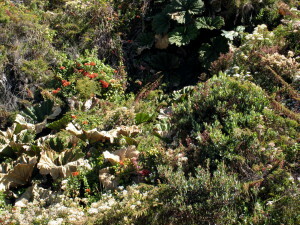 There are several craters rimmed by gnarled, scorched trees, and lined with brilliantly colored rain fed mineral pools. There are few inhabitants in this harsh environment, but two you should keep an eye out for are the aptly named Volcano Junco and Volcano Hummingbird. There is a small visitors center and displays explaining volcanism (if you are interested in how volcanoes work, there is an extensive visitors center and museum at Poás Volcano National Park). 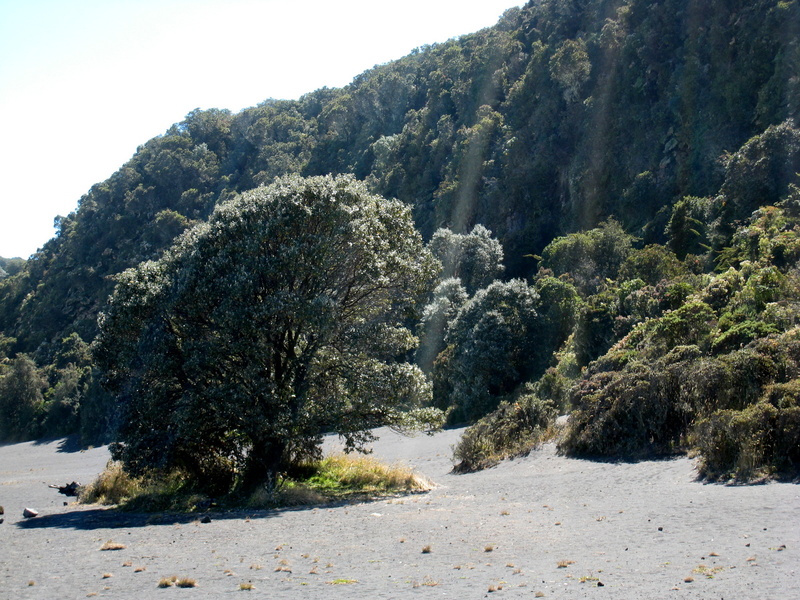 A total of just over half a mile (1km) of paths wind between the principal crater and Diego de la Haya, Playa Hermosa, and La Laguna craters, forming a loop with the entrance road around the pyroclastic cone. 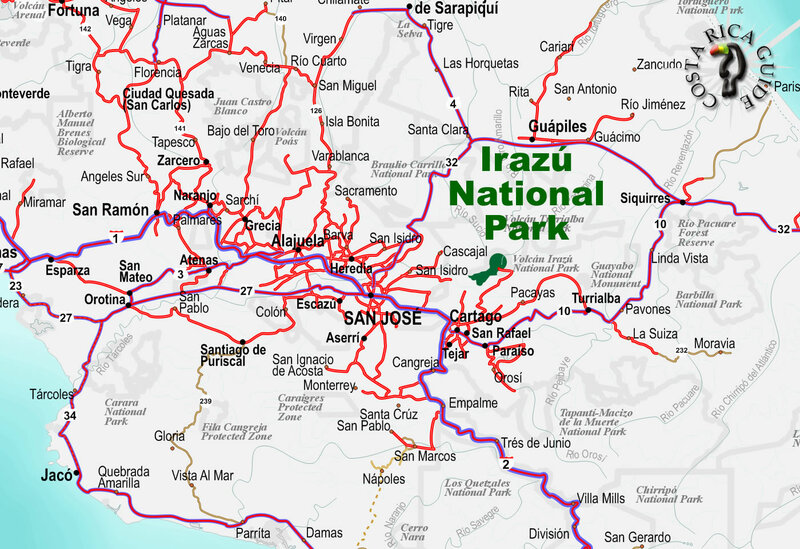 most tour operators in San José offer day trips to Irazú for $US 30-70 depending on what other attractions are included. The park closes at 3:30 p.m. and the drive up from Cartago takes at least 30 minutes so although it’s close you’ll want to start before noon to expect to have any time to enjoy the park. This is the most visited National Park in Costa Rica. Many people come up on day trips from San José. 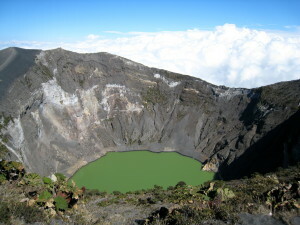 Your best bet to get a view of the crater (and possibly all the way to both coasts) is early in the morning between December and April. One advantage of the extreme elevation of Irazú is that it’s often above the clouds. Even when the central valley is socked in the sun may be shining on the crater. 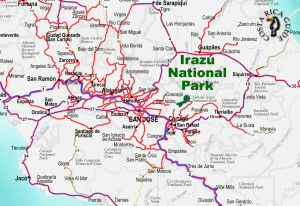 All of Irazú park is above the frost line, and much of it above tree line. Temperatures hover around freezing, and constant winds and saturating humidity contribute to the bitter cold at the rim. Don’t forget to bring at least a sweater and a windbreaker, and some have commented that they would have worn a parka if they had one. If the sun is out remember that you are near the equator at significant elevation and the intensity of the sun can cause burns in less than an hour. Carry and use sunscreen. Each month of the year is selectable on the drop down menu for a summary of the typical weather patterns and other info to help you decide if it’s the best time to visit.